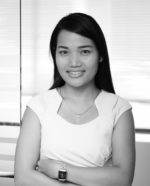 Rithivit returned in Cambodia in 1994 and first started as an investment consultant for global companies. 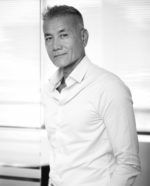 As a serial entrepreneur, he founded DEVENCO, one of the first venture capital and investment consulting companies created in Cambodia in 2007, as well as Cintri and Gaea the national waste management companies. Through his companies, Rithivit endeavours to develop sustainable activities with a social and environmental positive impact, across different sectors such as waste management, environment, agriculture, healthcare and real estate. Rithivit also advises several key ministries in the Kingdom. Nanda-Devi’s career path has been mainly achieved in business development, investment consulting and advocacy in Europe and in Asia. She has been successfully active for many years in different development roles. 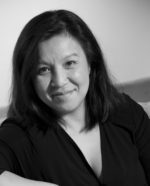 She has been assisting global French companies (such as Axa Group, Thalès, Suez Consulting, Plastic Omnium, Auchan Group) in their development on the Asian market, by introducing them to local partners, clients or at high political levels. Nanda-Devi graduated from Dauphine University of Paris with a Master in Business Management and from INALCO University of Paris with a Degree in Japanese Language and Civilisation. 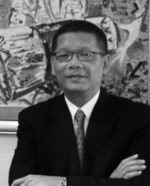 Vichit’s extensive international experience has been focused on financial and economic advisory services, senior corporate management with foreign and regional multinationals, investment banking (Goldman Sachs & Morgan Stanley, Phillip bank) and private equity (Axiata Berhad) and airline (Sembawang Aviation PTE and Royal Air Cambodge). He has been advisor to various governments from Africa and Asia. 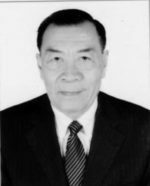 Vichit was Secretary General of the Cambodia Investment Board and Economy Advisor to the First Prime Minister in Cambodia. After many years as a Senior Engineer of Short Circuit Protection Department in the United States, H.E. Yim Nolson has been Deputy Director General of Electricité du Cambodge (EDC) for 7 years. He was in charge of planning projects including transmission, distribution, generation, planning and training Departments and 12 Provincial EDC Branches. He is registered as a Professional Engineer in Cambodia, USA and ASEAN region. H.E. Yim Nolson graduated from Orsay’s Science University of Paris and from University of Washington, Seattle. Prior to work with Devenco, Phallkunn has been involved in different waste management companies within the country. After being customer relation manager at Cintri and then managing director at Gaea for several years, he joined the Khmer Water Supply Holding as a managing director. Since 2015, Phallkunn is the managing director of a rubber plantation. 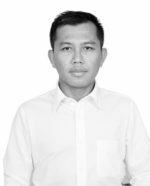 Phallkunn has a diploma in Civil Construction, a BBA from University Tun Abdul Razak and a MBus from Charles Sturte University. 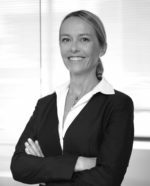 After work experiences in Africa for AFD as a micro-finance officer and in Iraq as a project manager for development programs for the Fondation Danièle Mitterrand, Sandrine worked 20 years in Cambodia as a consultant for the European Union and for private companies. She joined Devenco in 2012 as Head of Research and works as COO for Beetle Environmental Solutions. Sandrine graduated from La Sorbonne University of Paris with a Master Degree and a DEA in International and Development economics. Prior to join Devenco, Sébastien worked as an Assistant to the Chief Operation Officer at Kep Estate Properties where he started his career in Cambodia. 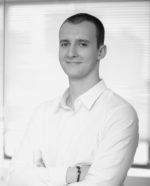 Sébastien graduated from Group ESC Clermont with a Bachelor Degree in International Management and from Universitas Gadjah Mada with a Double Degree in International Business. Leakhena worked for over 7 years at Devenco. She undertakes general admin tasks, assists the CEO and Managing Partner in the preparation of policies and procedures and manages the filling, sign off and review of documents. She also checks, process and records all payments, administers invoices and expenses claims received. Leakhena graduated with a degree in finance.